Public Television’s Grassland Jam will showcase The Double Down Daredevils on Saturday, April 20 at 7 p.m. The program will be available for online viewing immediately after the broadcast on www.pioneer.org/grasslandjam. The broadcast will be repeated on Monday, April 22 at noon. 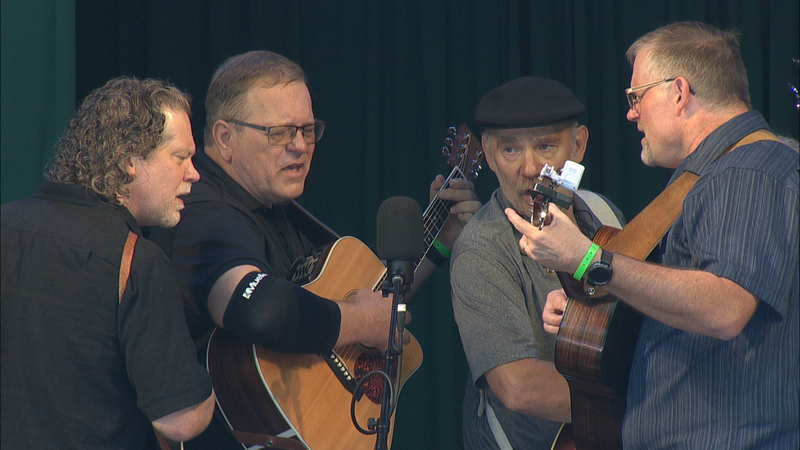 The performances were recorded at the Minnesota Bluegrass & Old Time Music Association Festival held in Richmond in August 2018. The Double Down Daredevils are a Minnesota based band playing bluegrass and Americana music with a special emphasis on two, three and four-part vocal harmonies. They have been described as "the Bluegrass Boys meet The Oak Ridge Boys" kind of group. The Double Down Daredevils features Tom Peschges and Nathan Fjeld on guitar, Tim Wankel on bass, Brin Peterson on mandolin, Mary Ellen Fox on fiddle and Phil Nusbaum on banjo. Grassland Jam is produced and edited by Matthew Johnson. The program is made possible by contributions from the voters of Minnesota through a legislative appropriation from the arts and cultural heritage fund.